Acclaimed chefs Tony Singh and Cyrus Todiwala are on a mission to wake Britain up to the versatility of spices. For too long, our spices have sat unused and dusty in cupboard shelves, when just a mere sprinking of cumin, a dash of turmeric or a handful of star anise has the power to turn our everyday food into an explosion of tastes and smells. Tony and Cyrus have taken to the road, exploring the British Isles and adding their own spicy twist to our most classic and best-loved dishes. Try jazzing up a Sunday roast chicken with a honey and ginger, adding a cumin and coriander kick to a shepherd's pie or lacing a Victoria sponge with aromatic fennel seeds and cardamom. 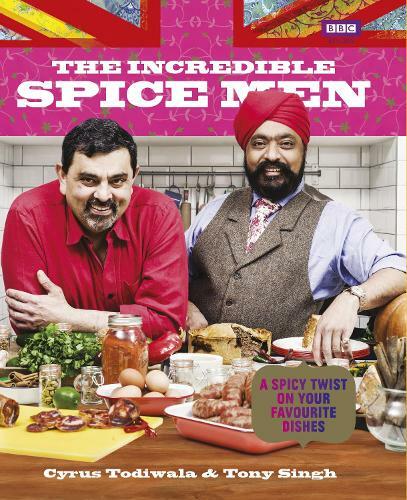 With delicious, everyday recipes accompanied by Cyrus and Tony's top tips and favourite spices, The Incredible Spice Men will demystify the contents of your spice rack, and open your everyday cooking up to a world of exciting new flavours.